For many years the Leeds district was bedevilled by Leeds City Council’s unspoken policy of giving gypsies and travellers two choices: Cottingley Springs or, as it is always full, nuisance camping by the roadside or on football fields. No other council land was provided, and applications for small private sites tended to be refused and resisted at appeal; there are only about a dozen in the whole of Leeds. Following last year’s inquiry which blocked expansion at Cottingley Springs, the old policy has collapsed; even before the inquiry result was out, a small council site at Kidacre Street in Hunslet, which had been meant to be a one year stop-gap pending the expansion at Cottingley Springs, had its life extended to three years at the City Plans Panel. At the inquiry, the council claimed to have looked at about 225 sites in its ownership, of which none were suitable for gypsies and travellers except Cottingley Springs; this seemed highly improbable and wasn’t accepted by the inspector. 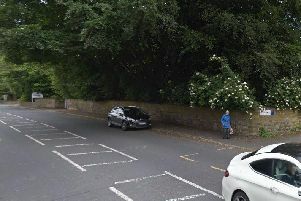 What is happening now is that the council is seeking to provide small sites, each for around five families, on a selection from a couple of dozen of its landholdings across Leeds. If small non-green belt private sites were looked at as well, much of the outstanding need could be filled at no cost to the taxpayer. Although final details won’t be known until after the Local Plan site allocations hearing next year, any future enlargement of Cottingley Springs seems most unlikely and it might be hoped that in the long run it will be made smaller. Let us know what you think by commenting below or on Facebook by searching Morley Observer.